Belize - From the late 1600s to the early 1900s, Central America was known for its timber production. Many species of timber were harvested during the period including sapodilla, santa maria, bullet tree, cocobolo, Caribbean pine, and of course the most valued species, Honduran mahogany. 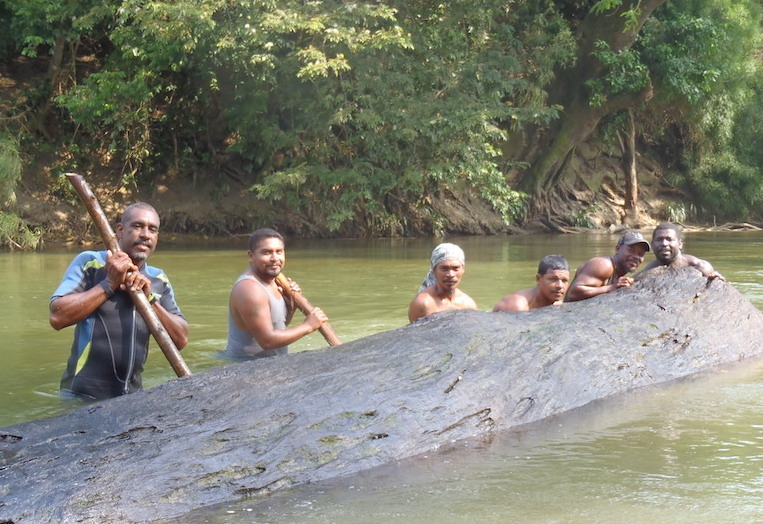 Timber was harvested during the dry season and moved into nearby streams and river beds, chained together in “booms” for up to 8 months waiting for the wet season to arrive. During that time, much of the dense lumber sank to the bottom where it remains to this day. A study in the 1990s estimates that half the timber that was cut never left the area. Due to cold underwater temperatures, low oxygen and low sunlight, the harvested wood has not deteriorated. Harvesting this substantial cache of sunken timber allows present stands of growing timber to mature to their original majestic stature. StoryWood uses recovered mahogany, bullet wood, sapodilla and cocobolo from this region.